Oli Hodgkinson, vet at Trefaldwyn Veterinary Clinic, shares his top herd health tips. 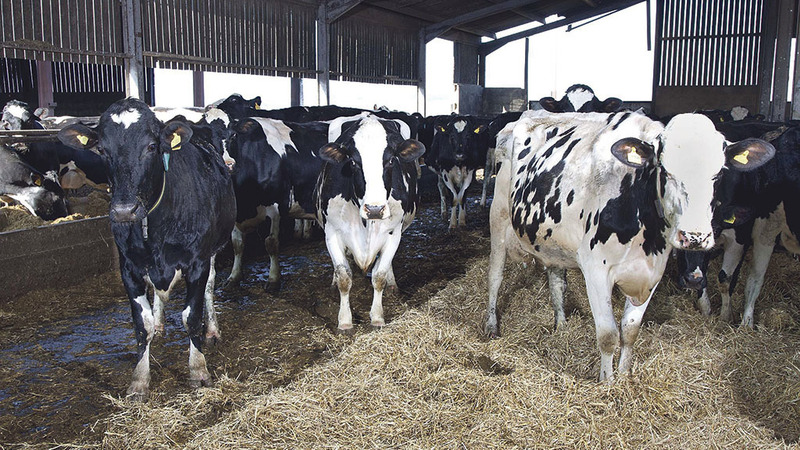 With cattle indoors, the winter period offers the perfect opportunity to get on top of herd health, but it also presents some challenges to look out for. Lameness can be an issue for cattle during housing due to prolonged standing time on concrete floors. Bring your farm team together and discuss your herd lameness plan with your vet. Consider regular mobility scoring to detect early signs of lameness, and be sure to record when treatment is given to monitor effectiveness and reoccurring cases. Wet and cold weather provides a fertile breeding ground for bacteria and disease, and an outbreak is a nightmare for both animal welfare and profit. Now is a good time to talk to your vet about assessing your farm for potential disease threats. Consider taking bulk milk samples to look for common diseases such as IBR, leptospirosis and BVD, and remove or isolate any potentially infected animals. Working with your vet, build a bespoke vaccination programme and deliver it accurately to ensure its effectiveness. Lastly, keep the environment as clean and dry as possible. All of this will ensure a happy and healthy cow. Bought-in livestock is a major route for new diseases entering your farm. Before integrating them with the rest of the herd, quarantine and test all new animals for potential disease, and treat where appropriate. Also ensure that cattle are put onto the same vaccination programme as the rest of the herd. For all-year-round and autumn calving herds, pneumonia is one of the biggest threats to young calves. Ensuring the calf has good quality colostrum containing more than 50g of IgG per litre in the first 24 hours of life will aid its natural immune defence. It is also a good idea to ensure the calf gets 4 litres of colostrum within the first 4 hours of life and a further 2 litres within the first 12 hours. Keeping calves in similar age groups and in well ventilated housing will also help to manage the risks. You may want to use calf coats to keep them warm, as cold weather can reduce growth efficiency and make calves more susceptible to pneumonia.